Warm the night with this stunner. 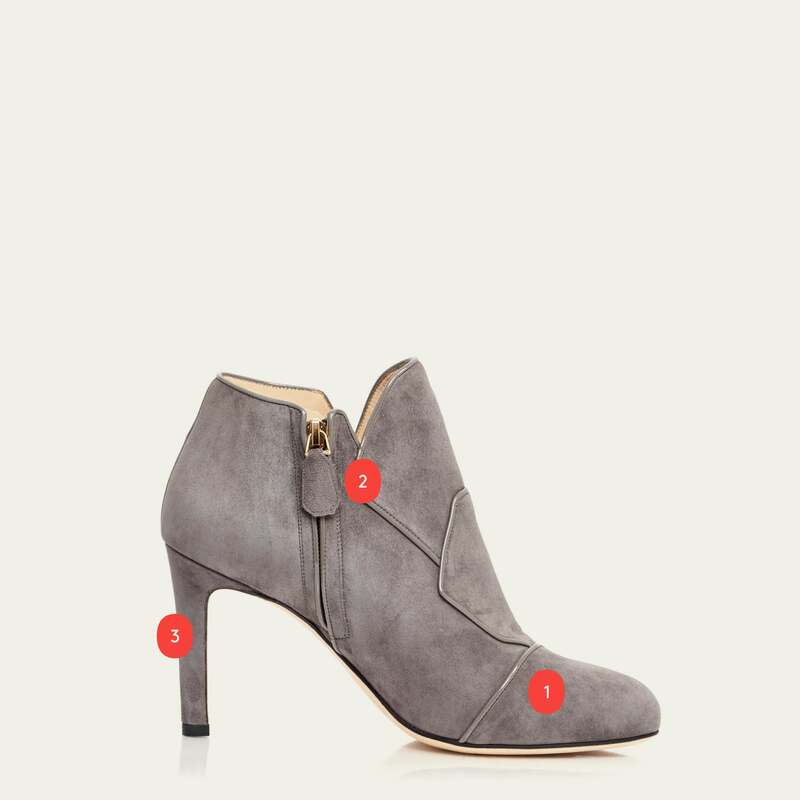 Our top-selling bootie is made with soft gray suede and accented with hand-sewn patent leather trim. The Cortina complements your favorite jeans or a sweater dress. The 3.3 inch heel has a classic stiletto shape with added width for stability and feels more like a 2.5 inch heel.